We think this is a great idea. Eggs for Soldiers is a new free-range eggs brand created and developed by Springetts Brand Design Consultants for Noble Foods. 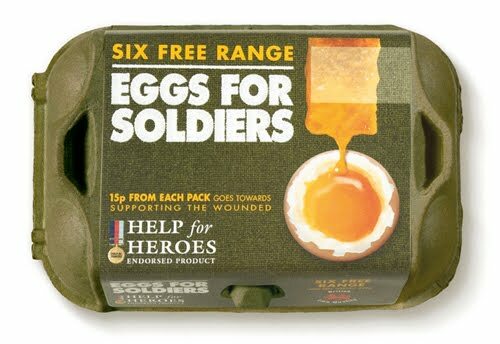 15p from every pack of Eggs for Soldiers will be donated to Help for Heroes and you can already find them on sale in Tesco. Springetts MD, Andy Black explains, “We wanted to create a brand that would show support for the sacrifice made by the members of all our armed services. 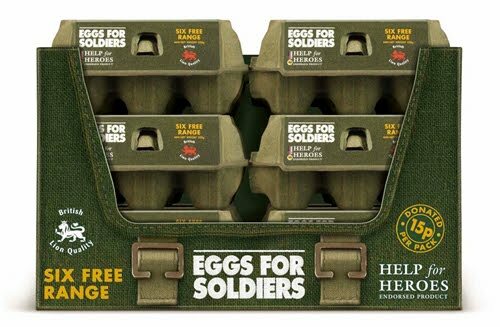 Eggs for Soldiers playfully makes the association in its tone and the product, being a commodity bought regularly, makes it effortless for consumers to show their support". Great name, great design, great idea all for a great cause. Gets a big round of applause from us.